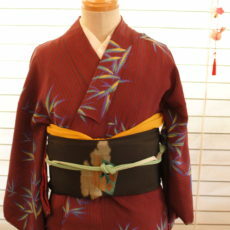 A vintage silk kimono with red lining and longer sleeves. 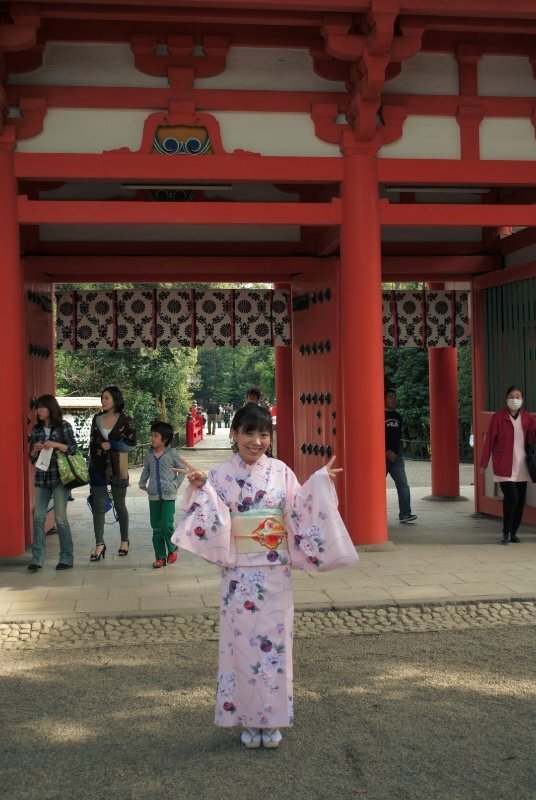 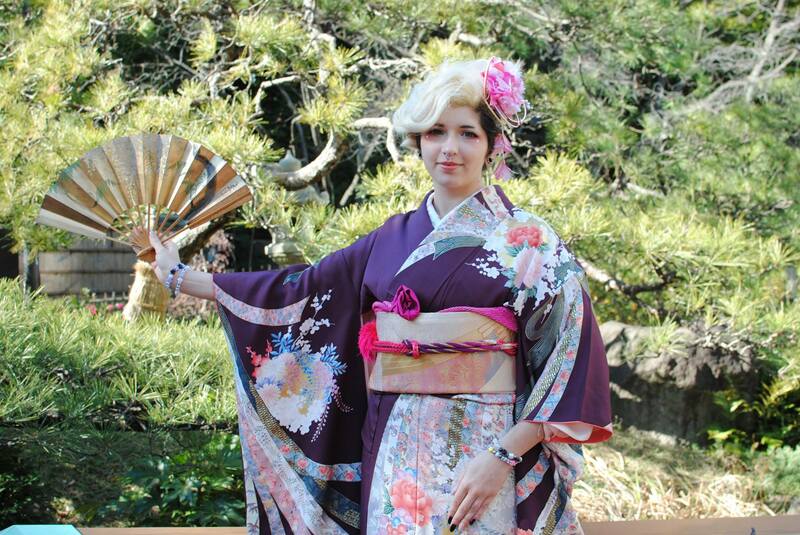 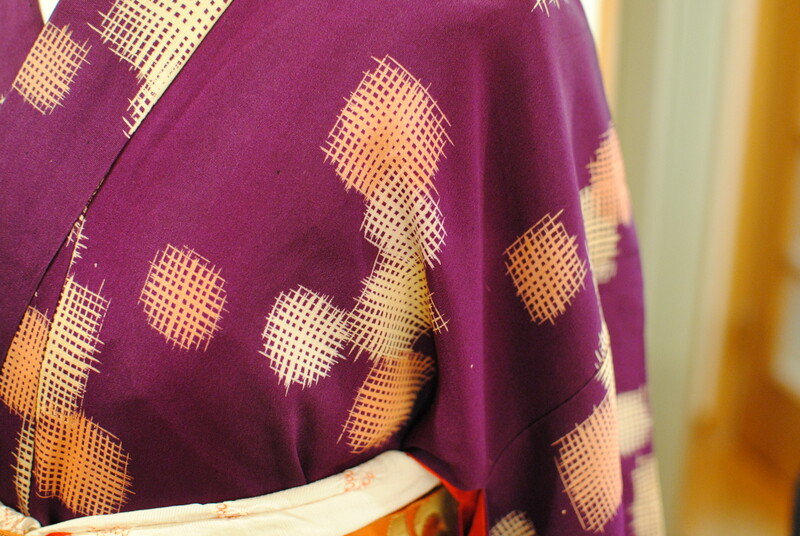 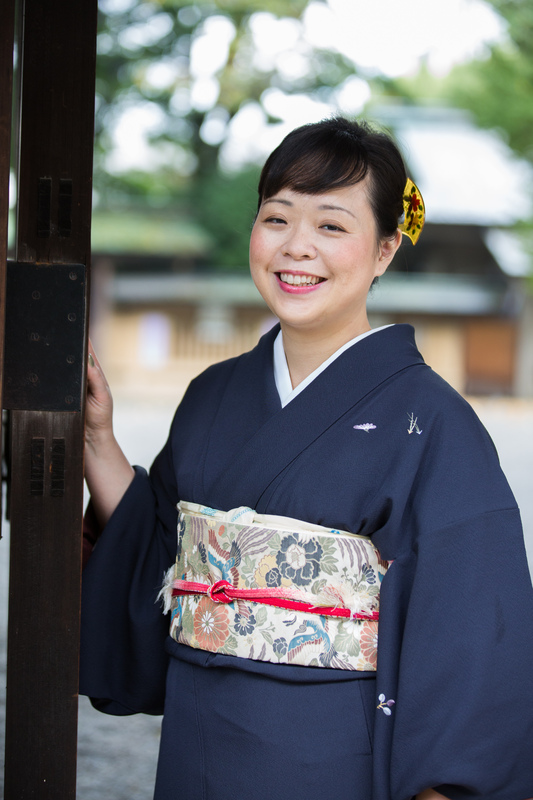 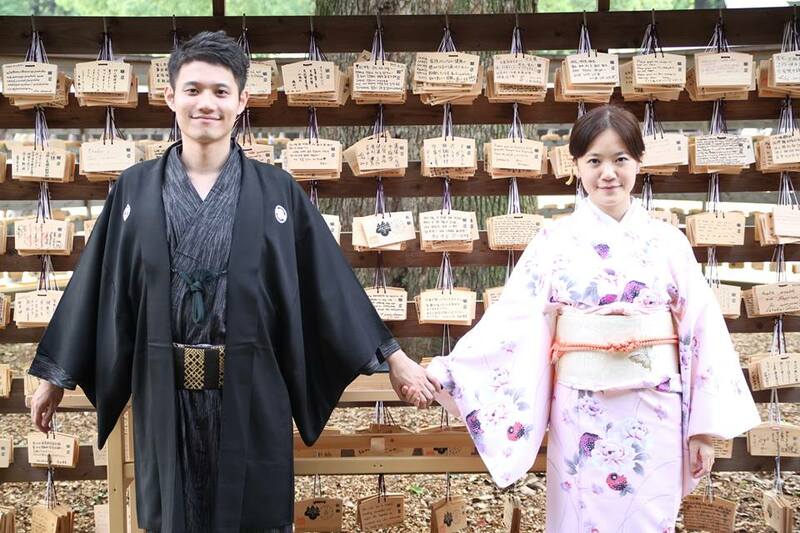 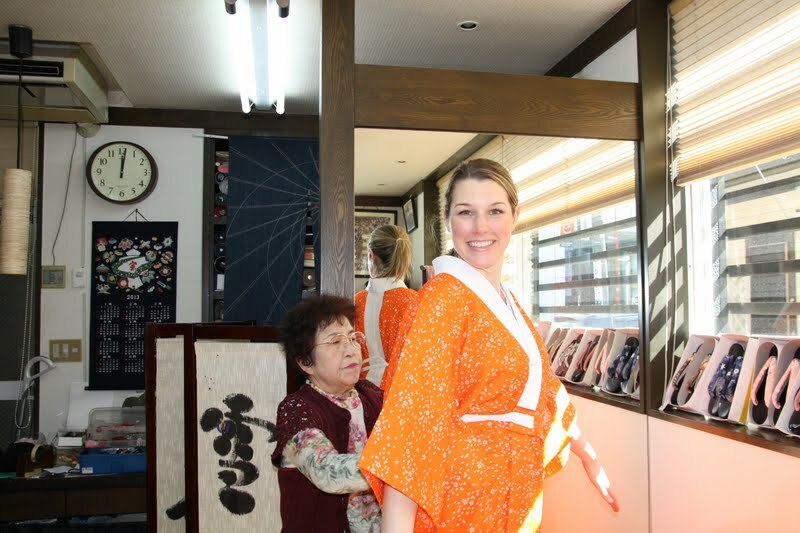 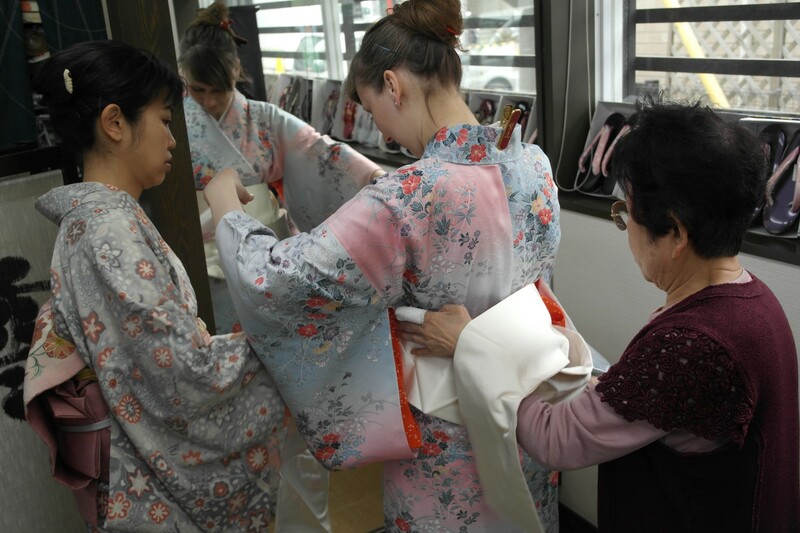 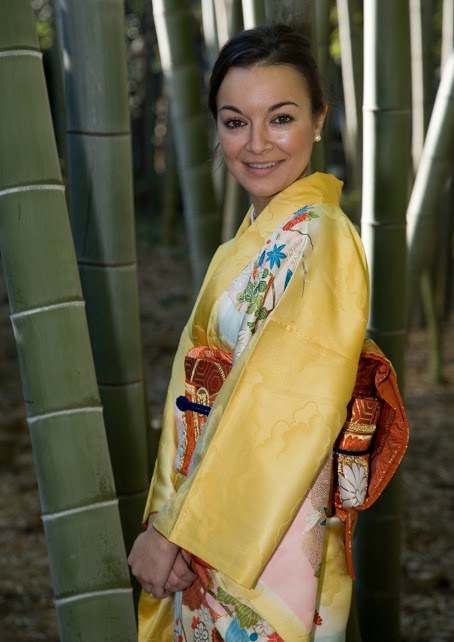 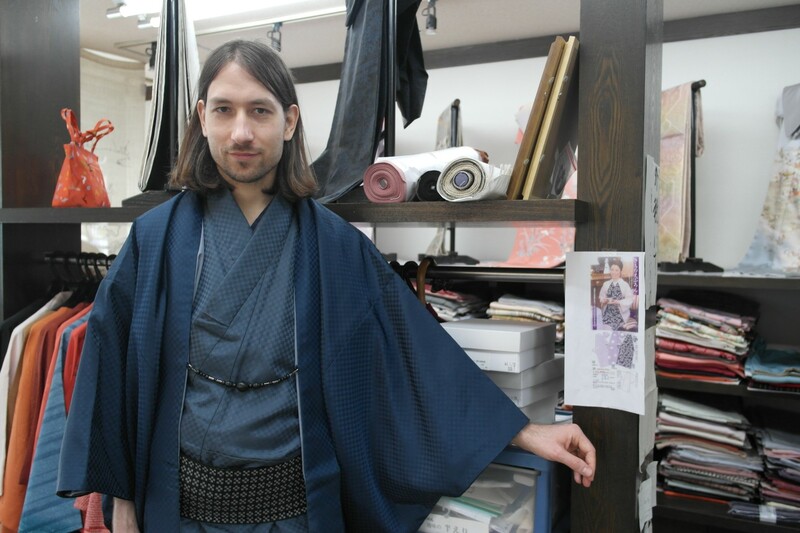 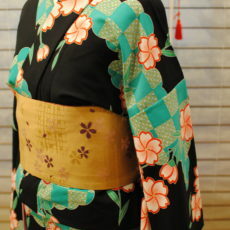 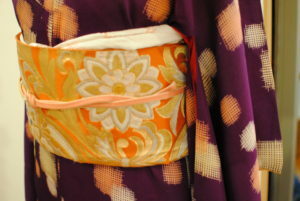 In the past, sleeve lengths were not standardized like they are now, so the longer sleeves combined with the red lining shows that this kimono is quite old. Despite its age, the silk is strong and can still be worn. 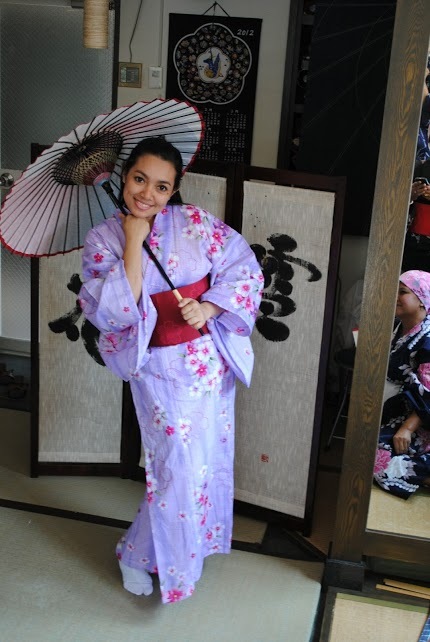 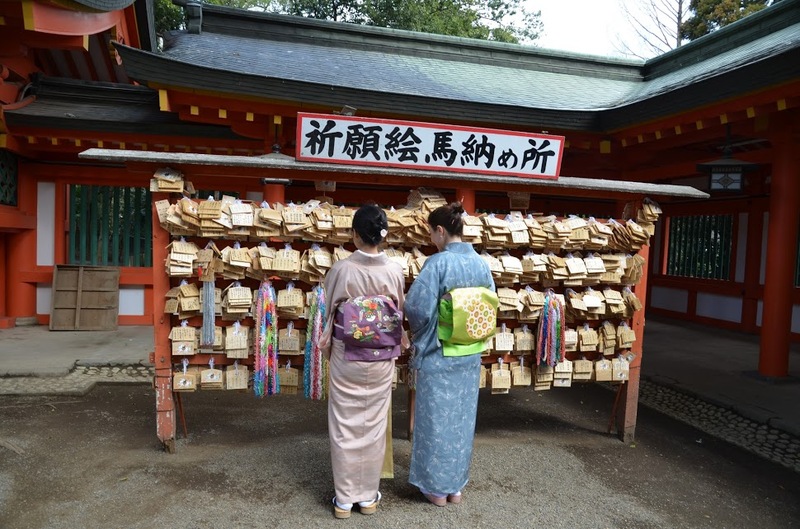 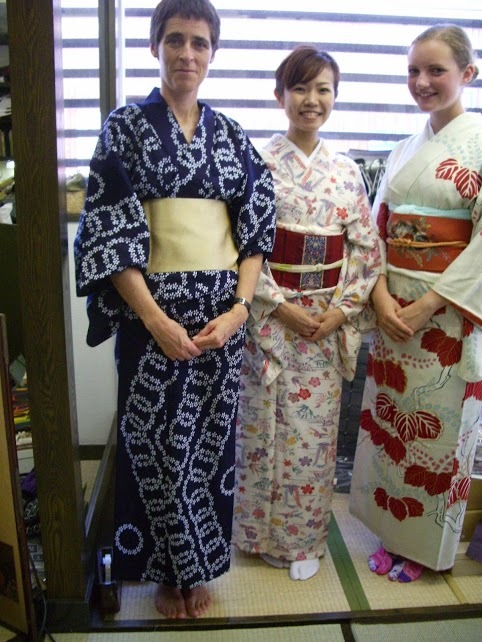 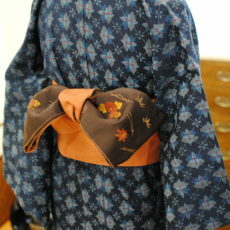 It is, however, short and so taller wearers should wear it without an ohashori (fold) as shown in the pictures or short with western accessories. 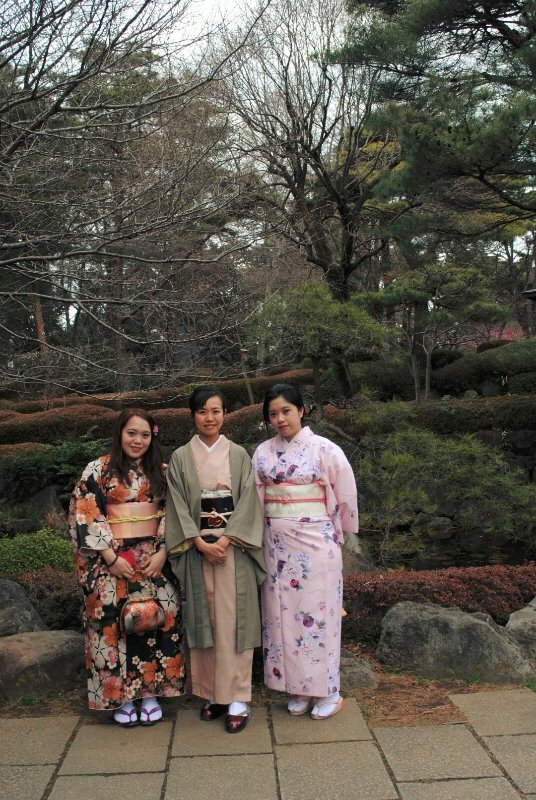 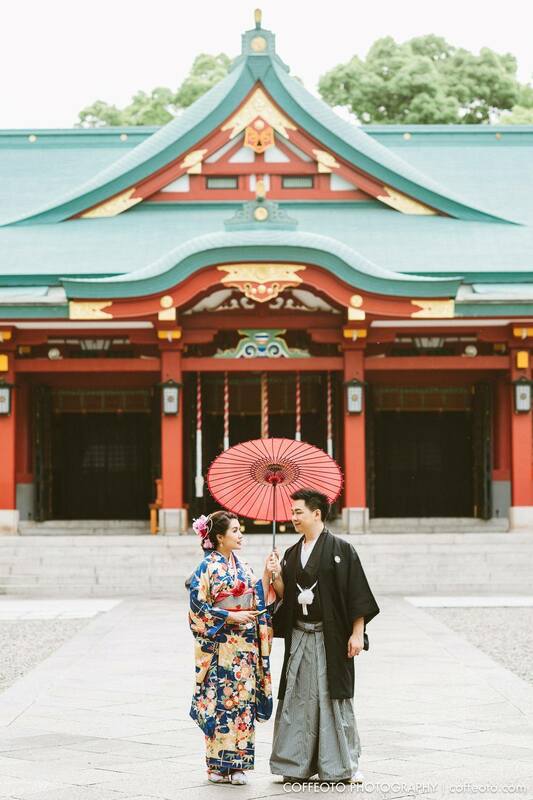 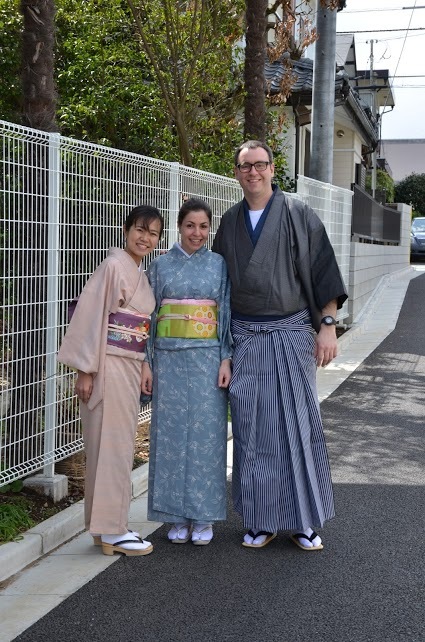 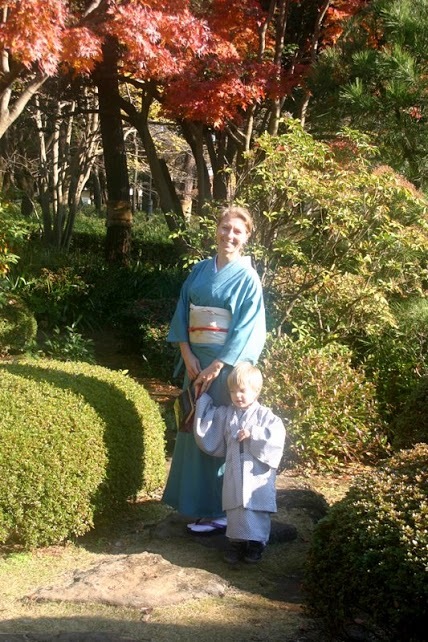 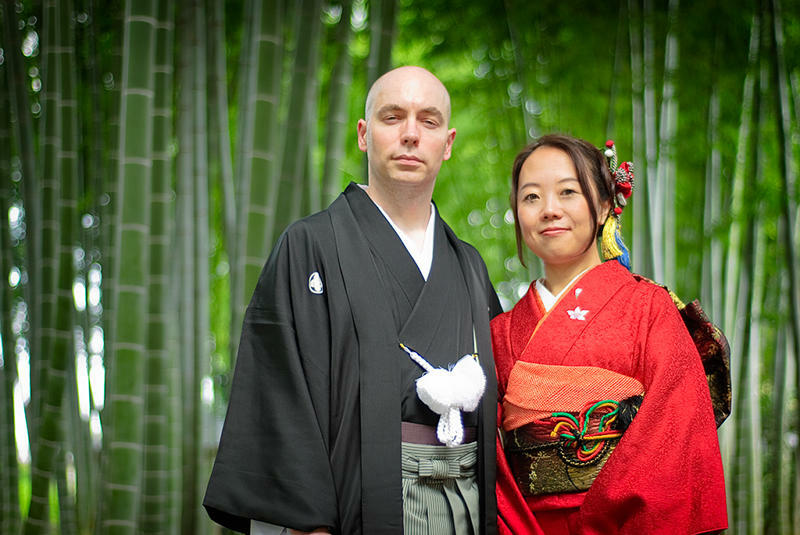 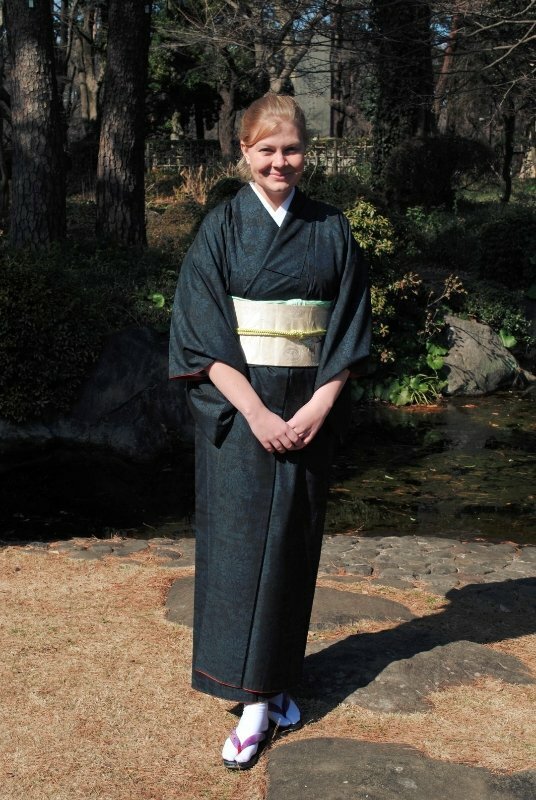 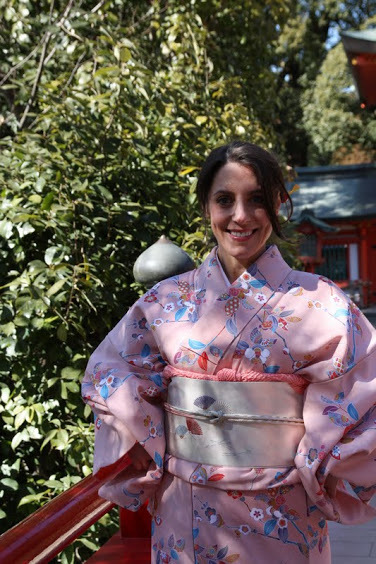 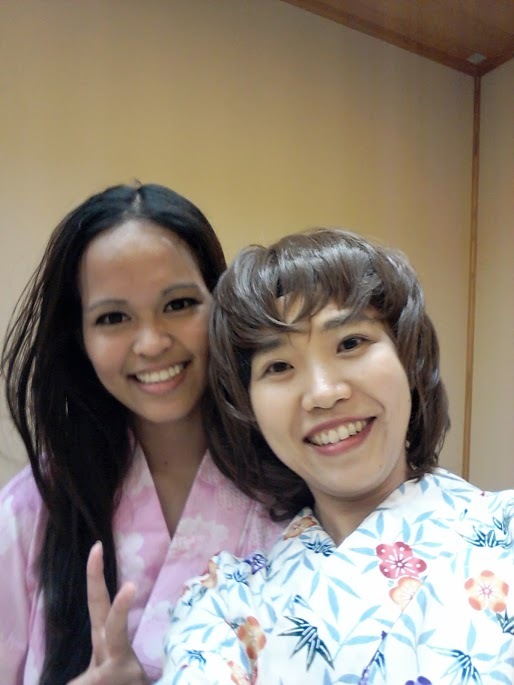 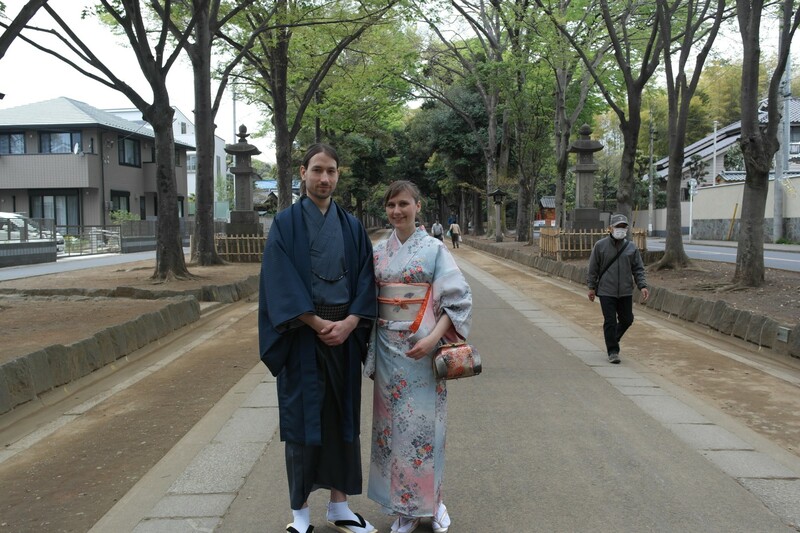 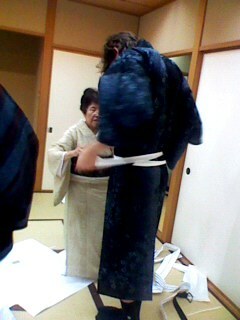 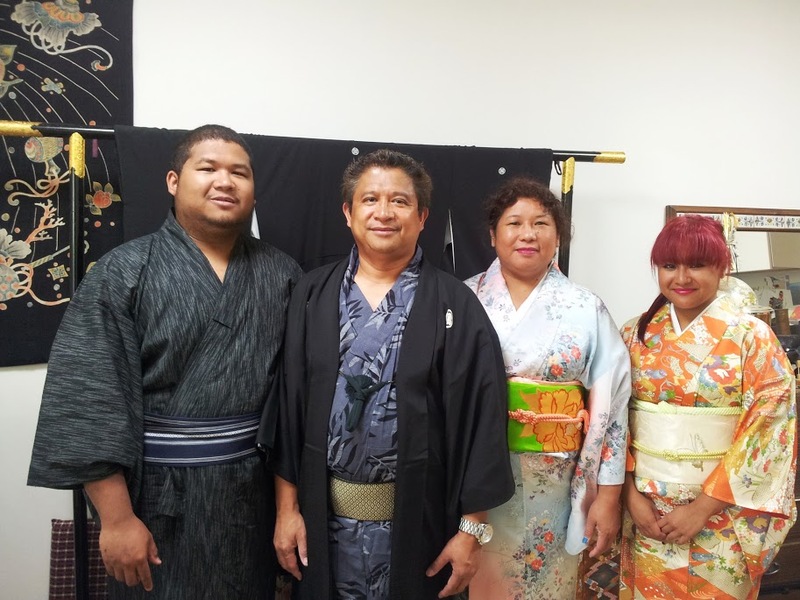 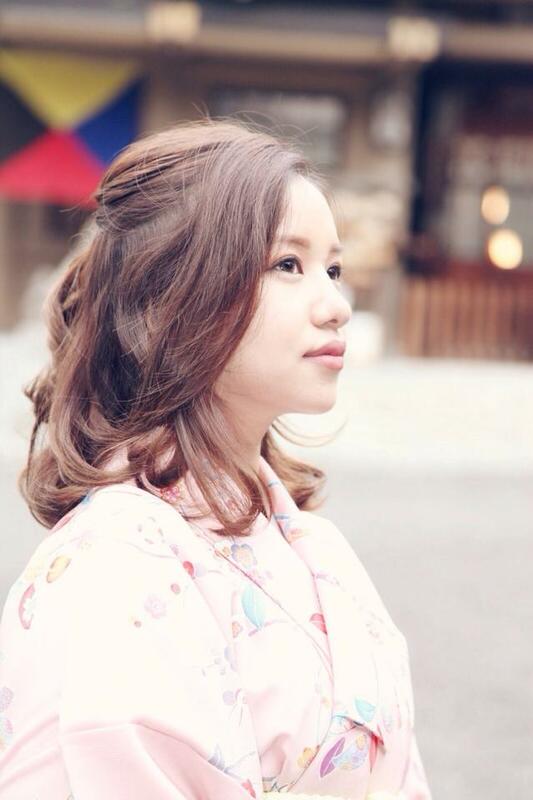 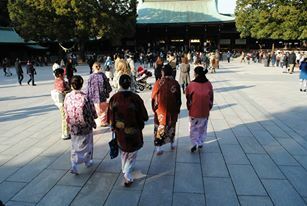 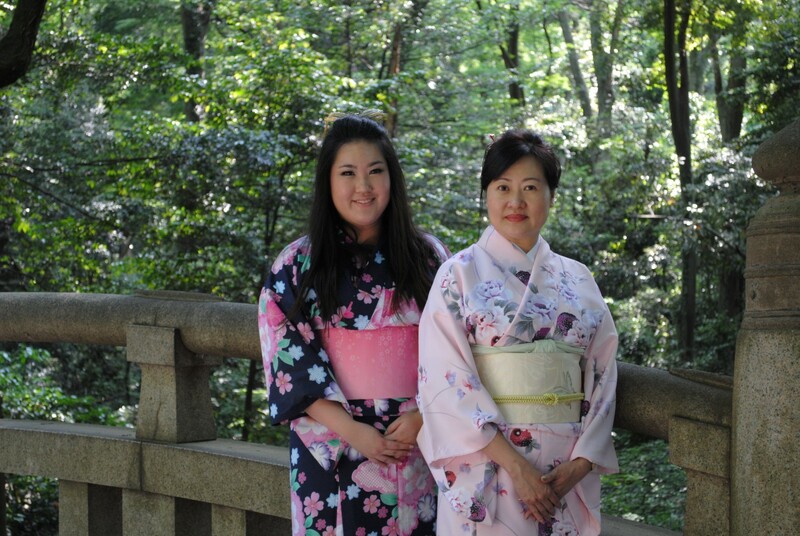 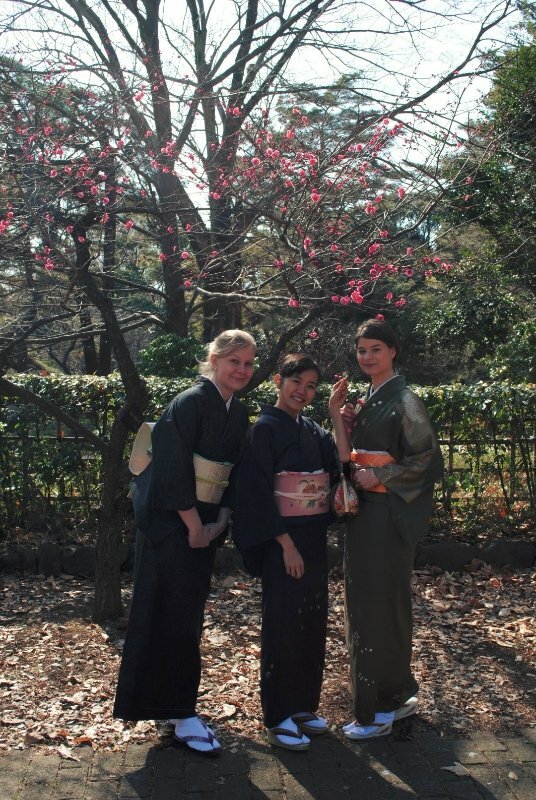 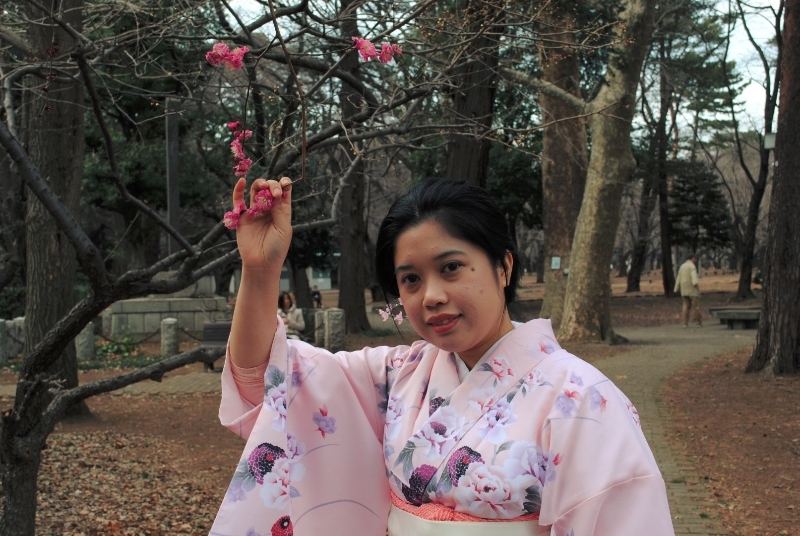 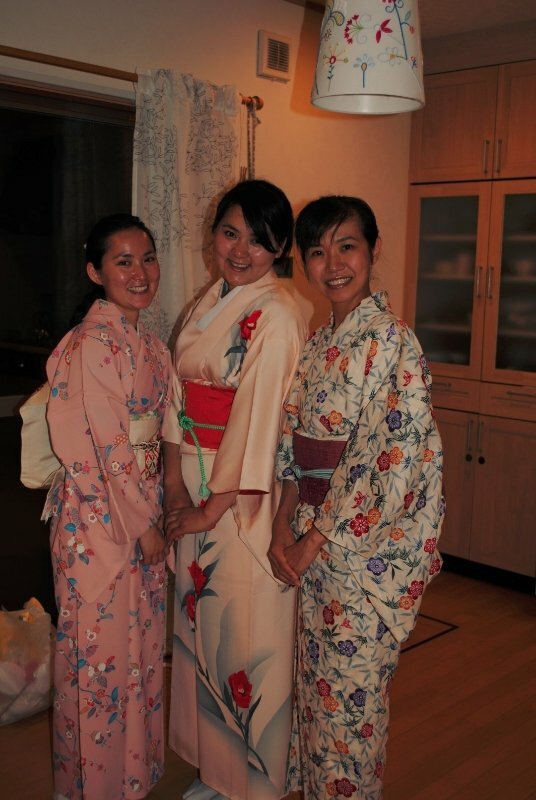 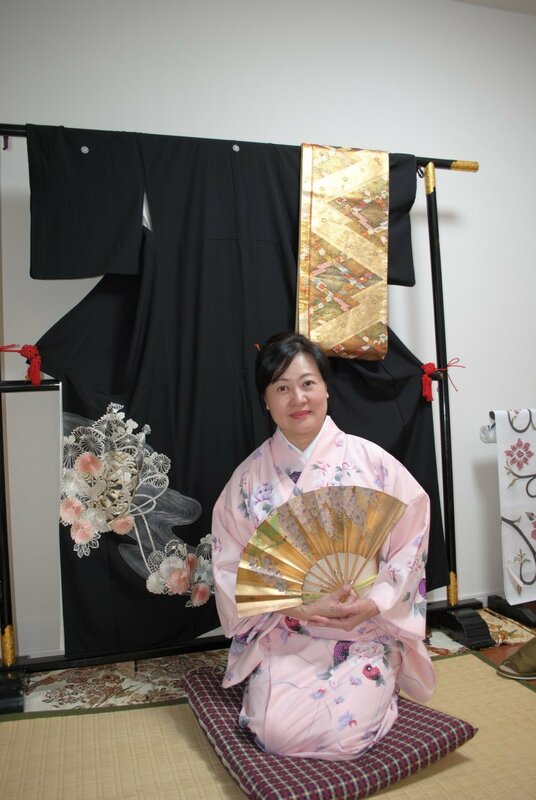 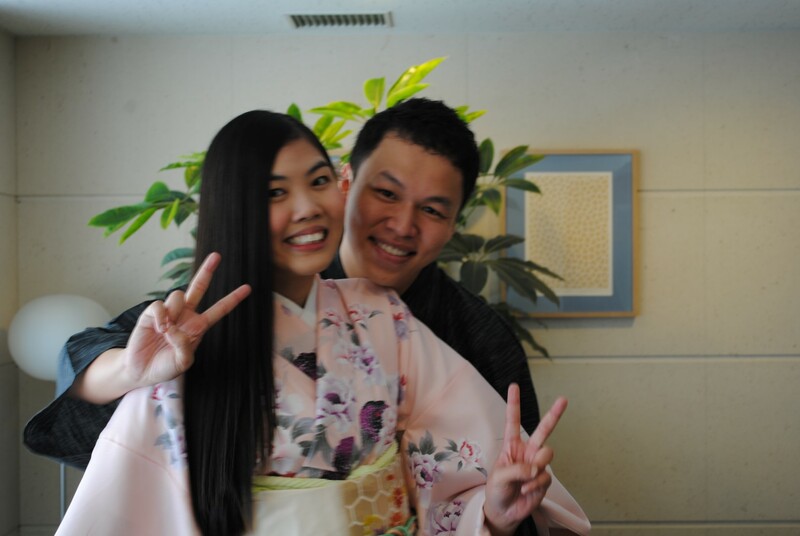 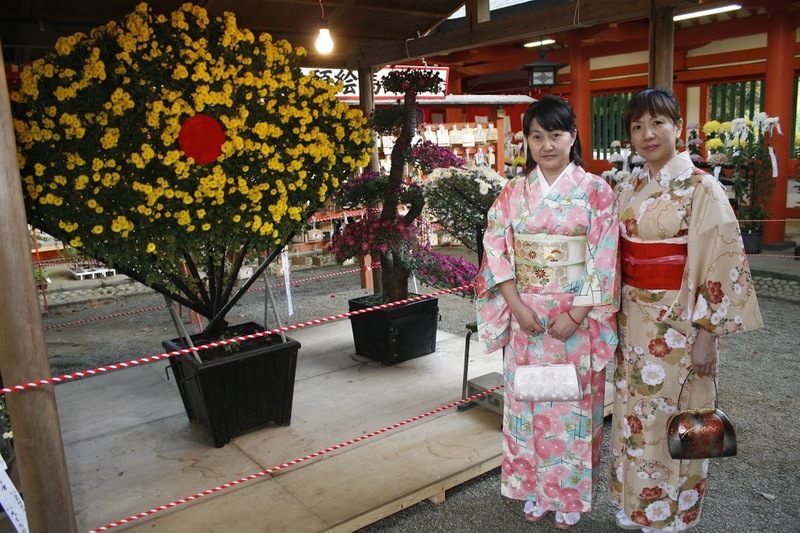 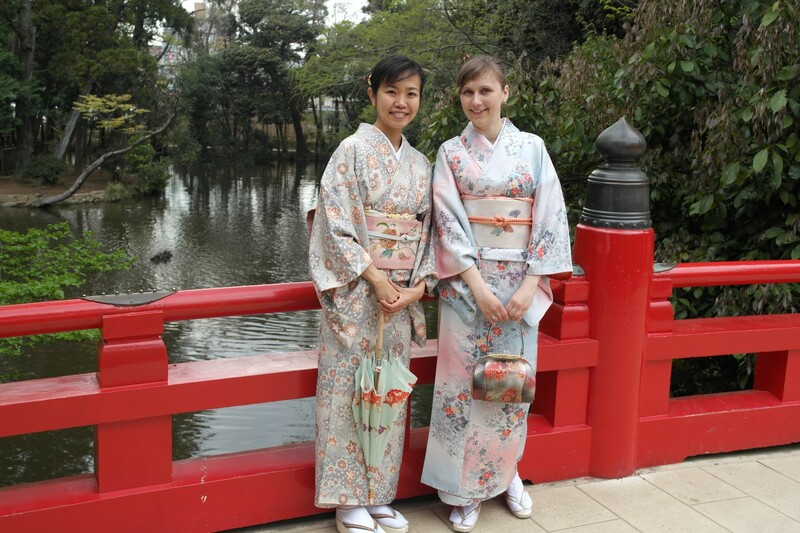 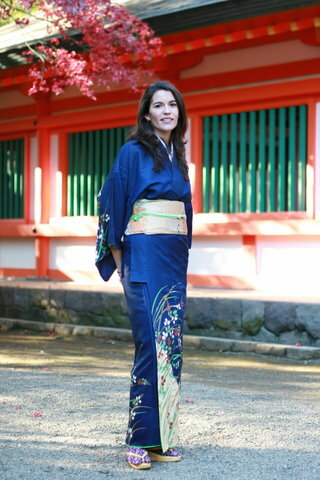 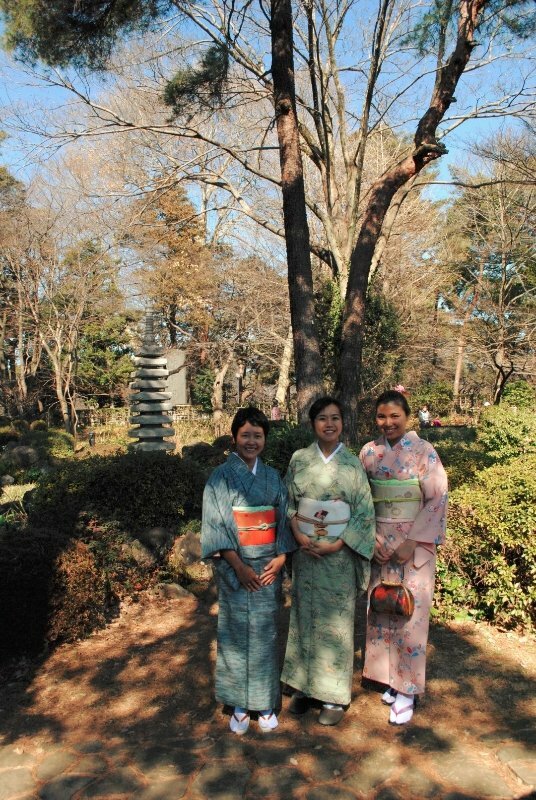 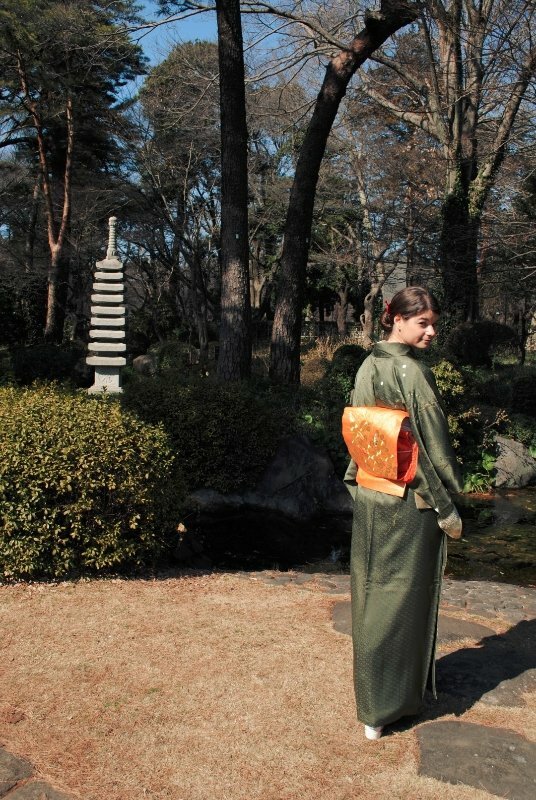 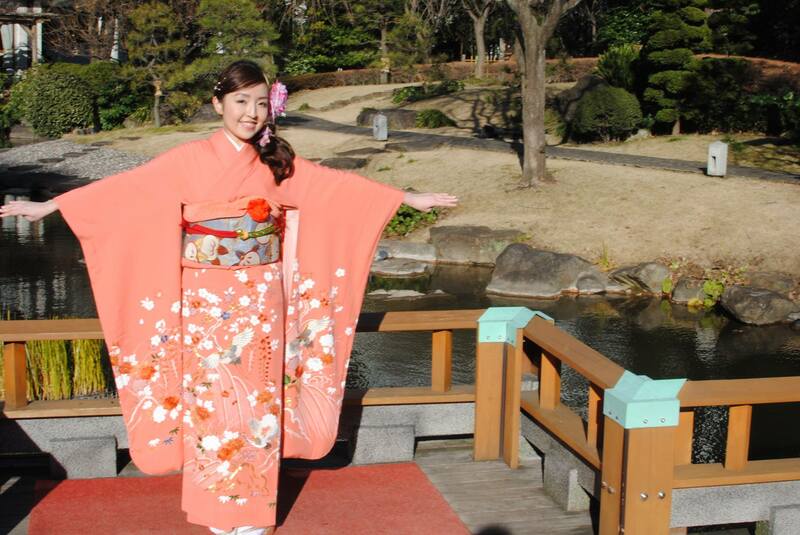 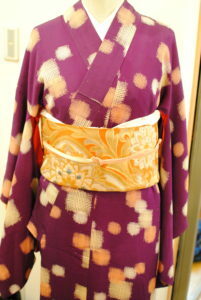 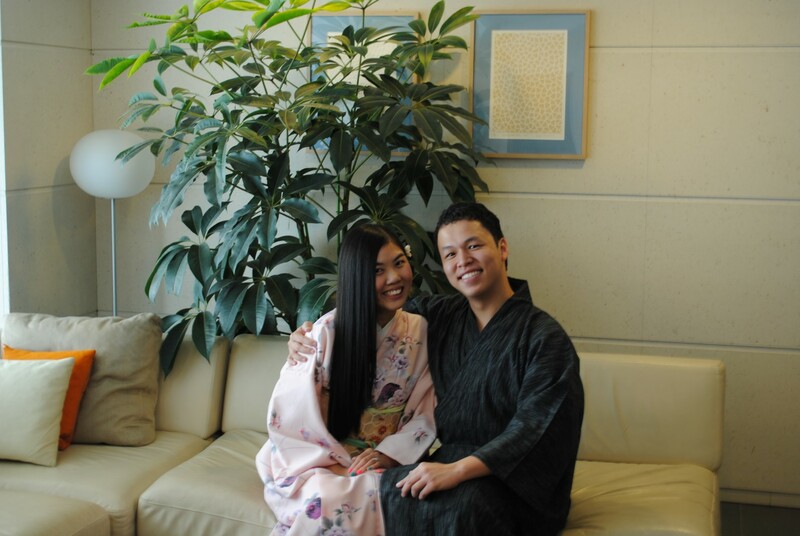 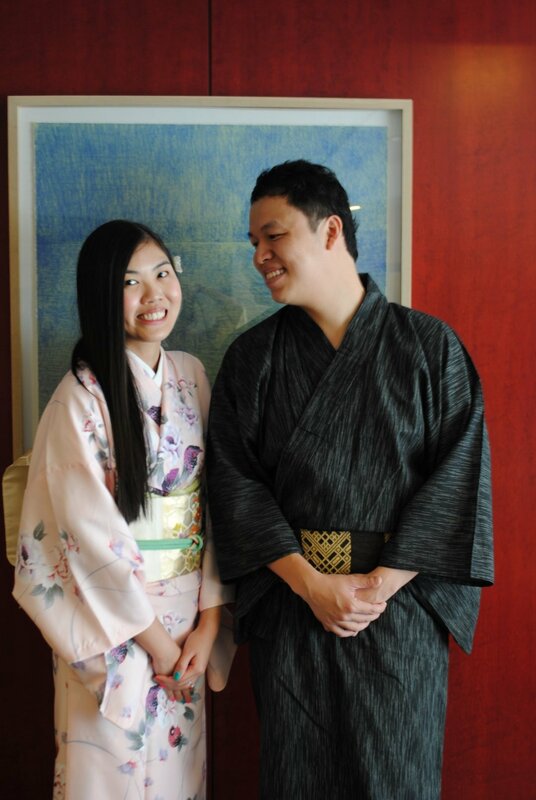 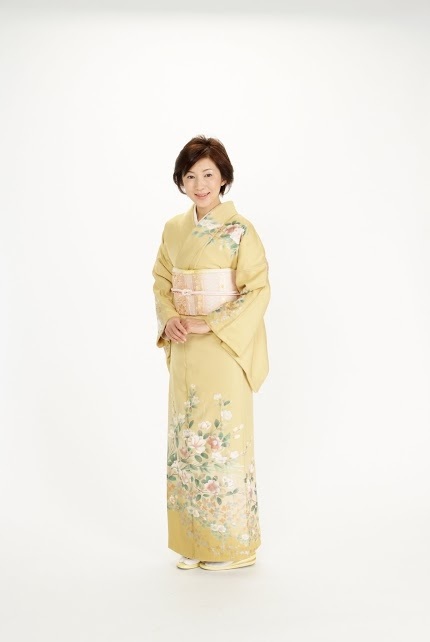 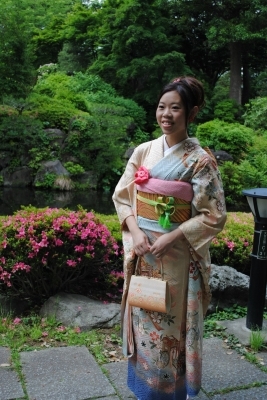 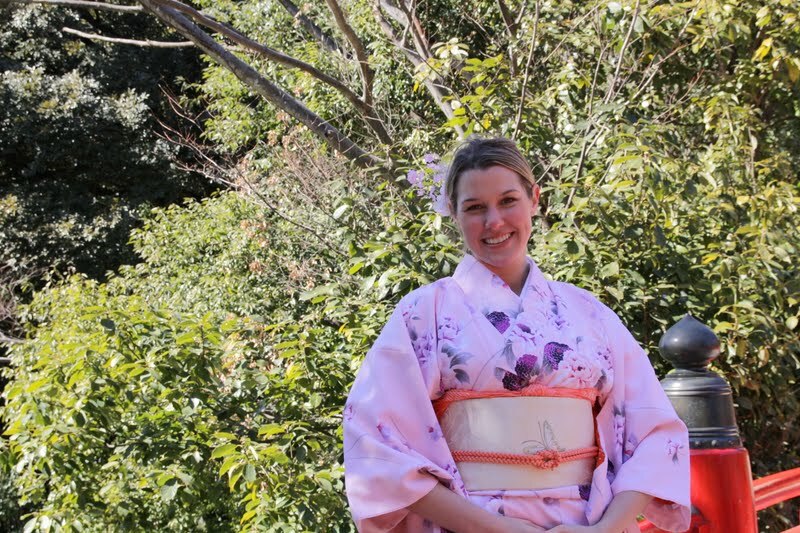 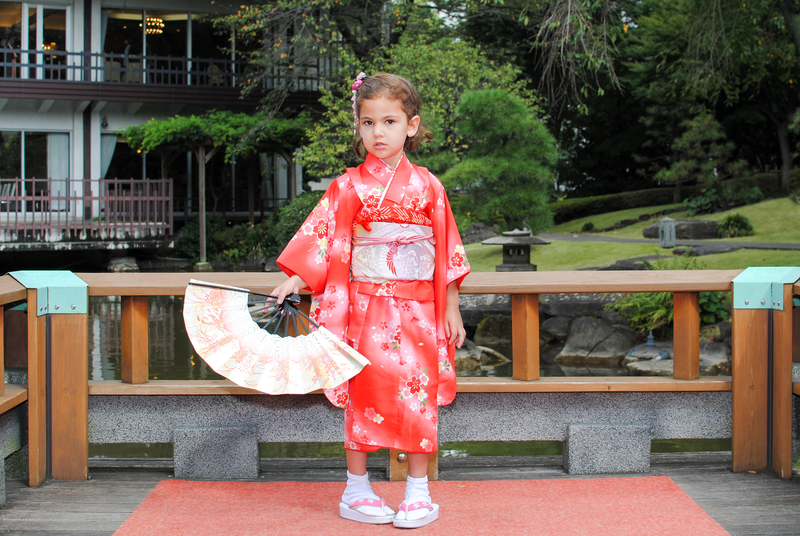 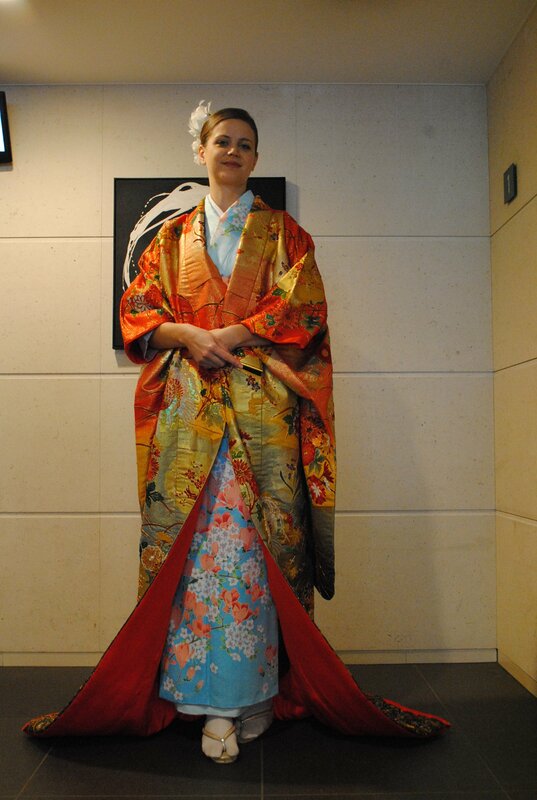 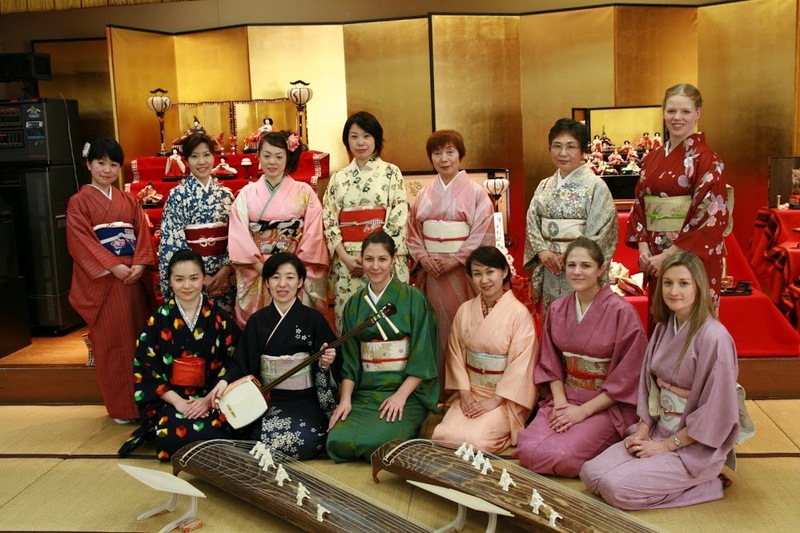 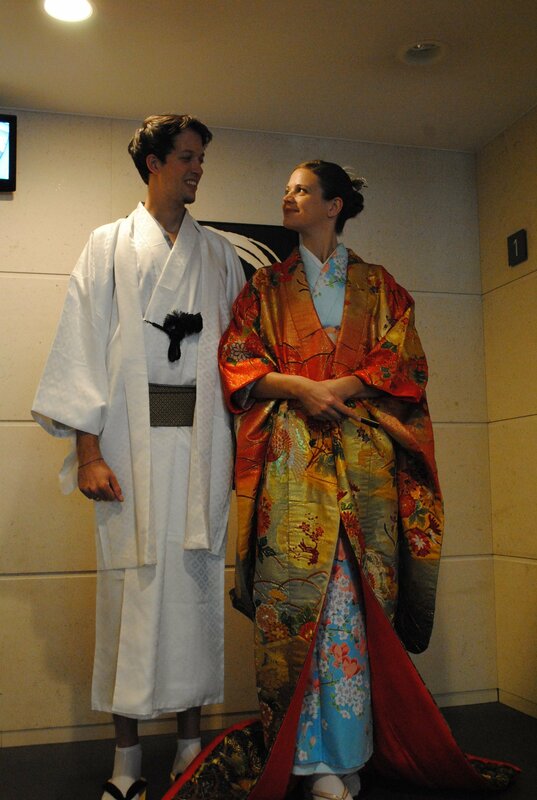 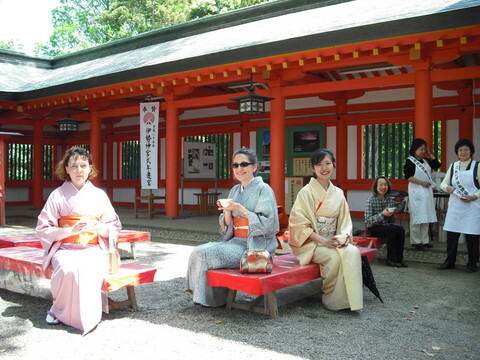 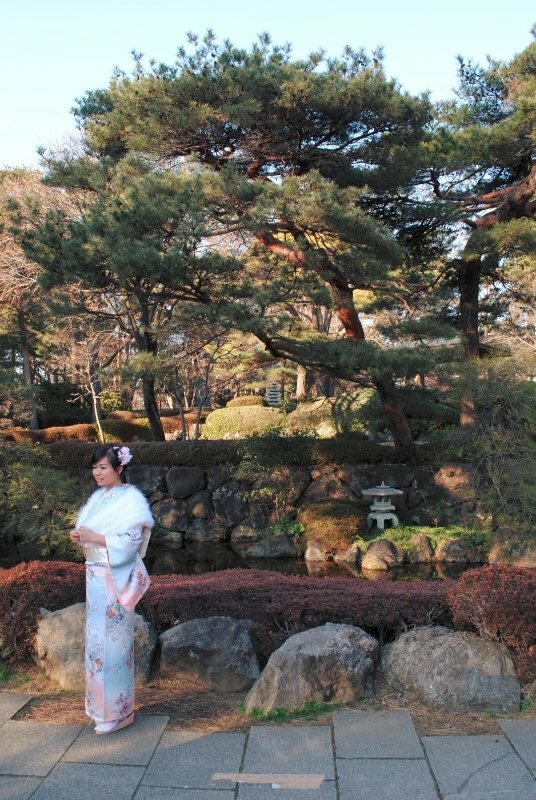 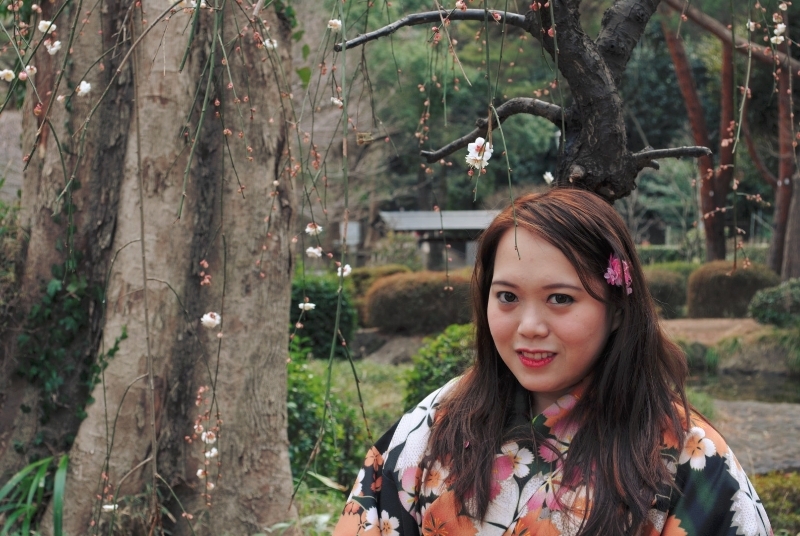 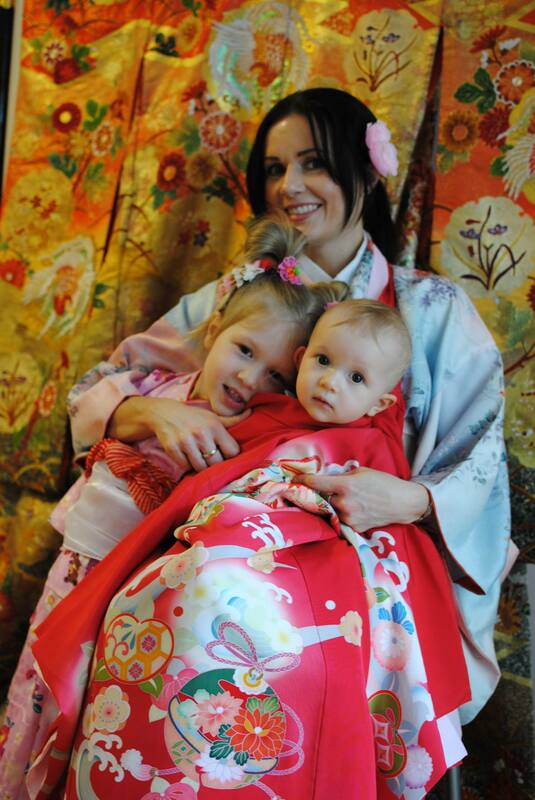 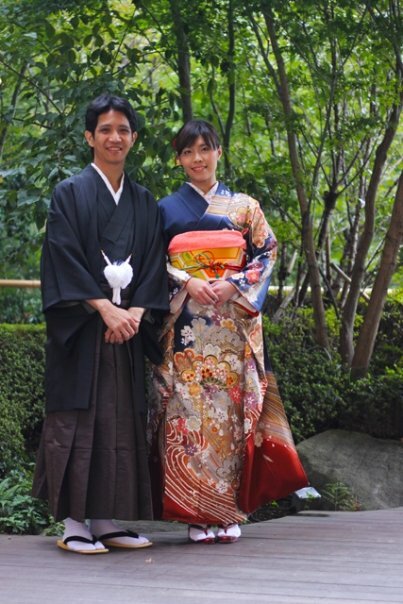 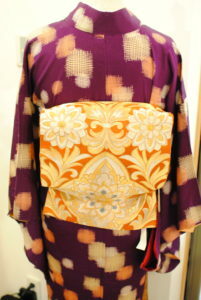 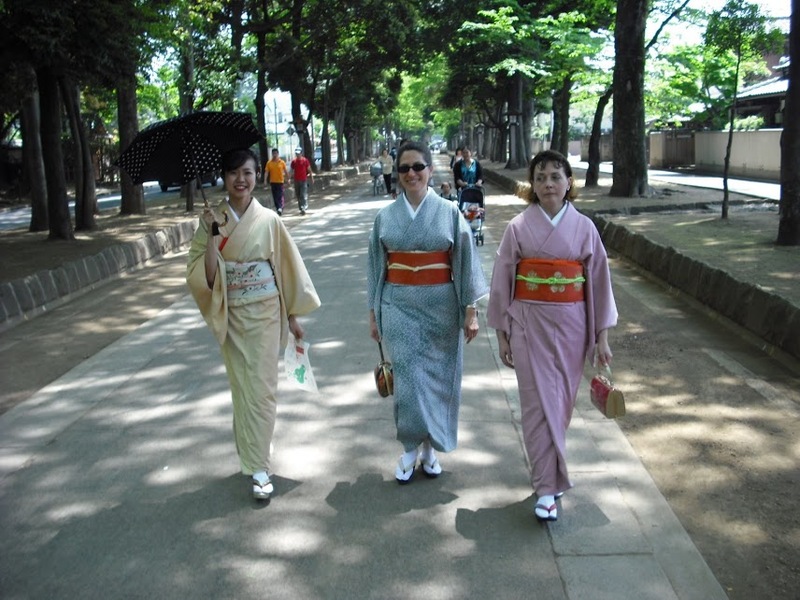 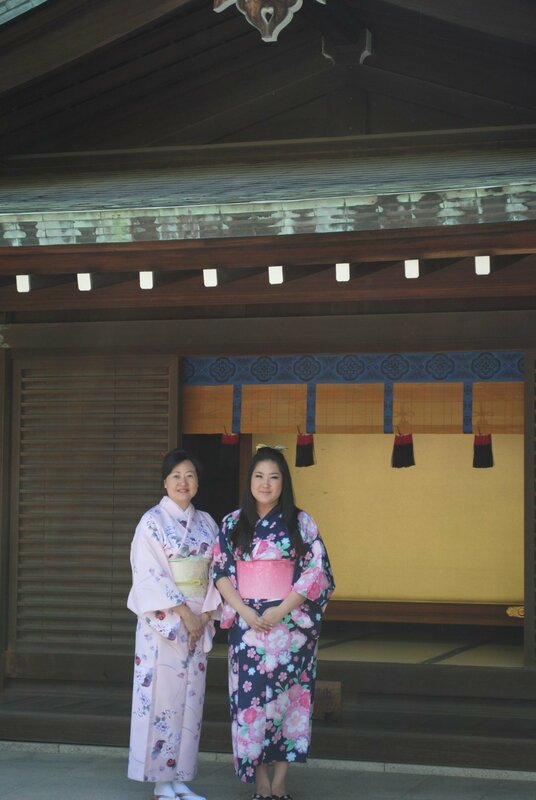 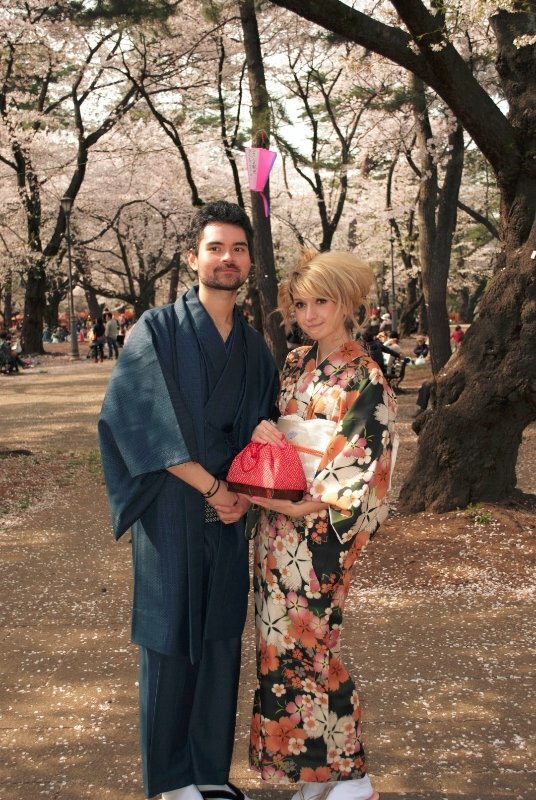 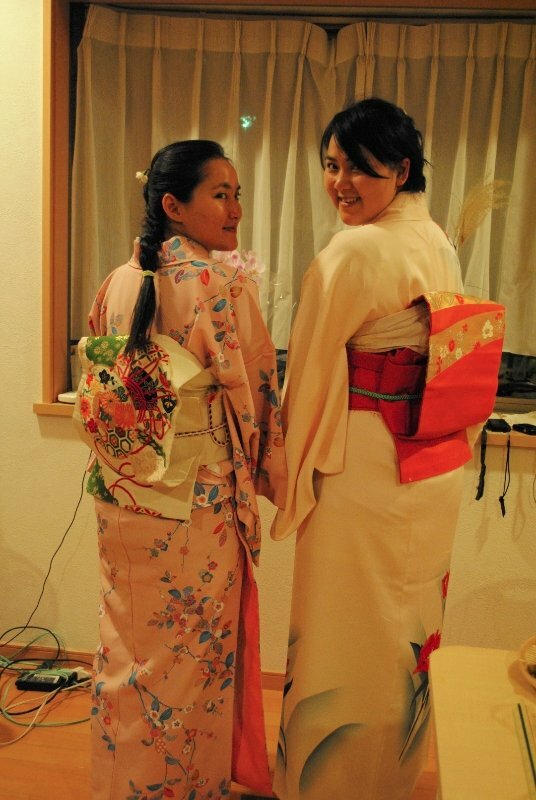 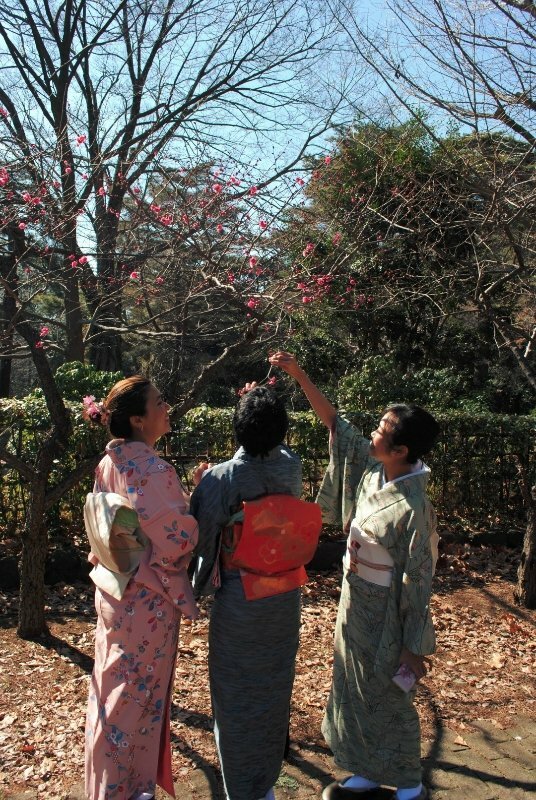 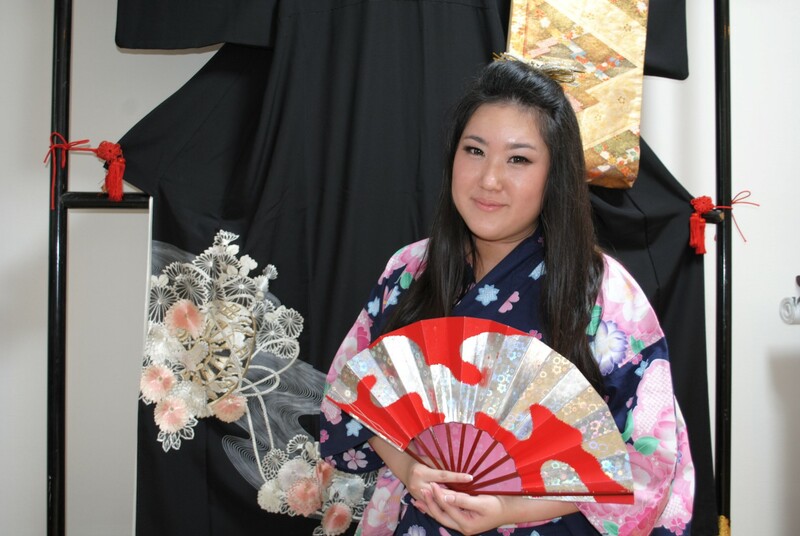 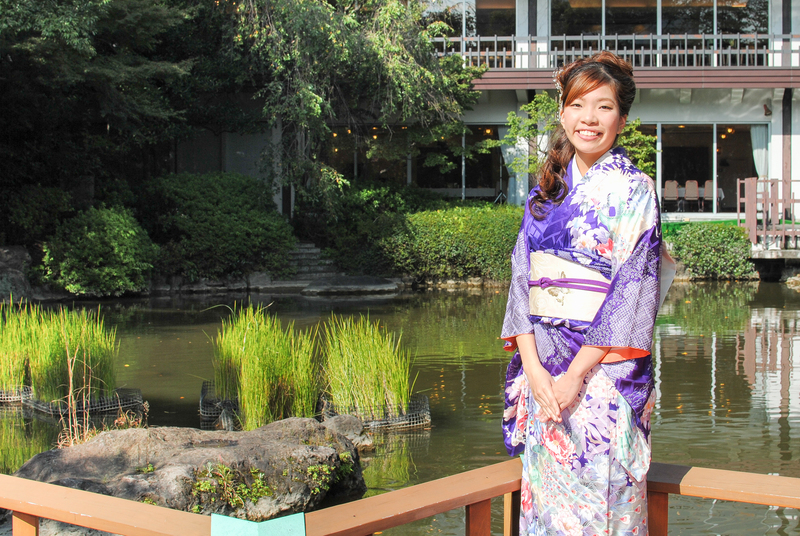 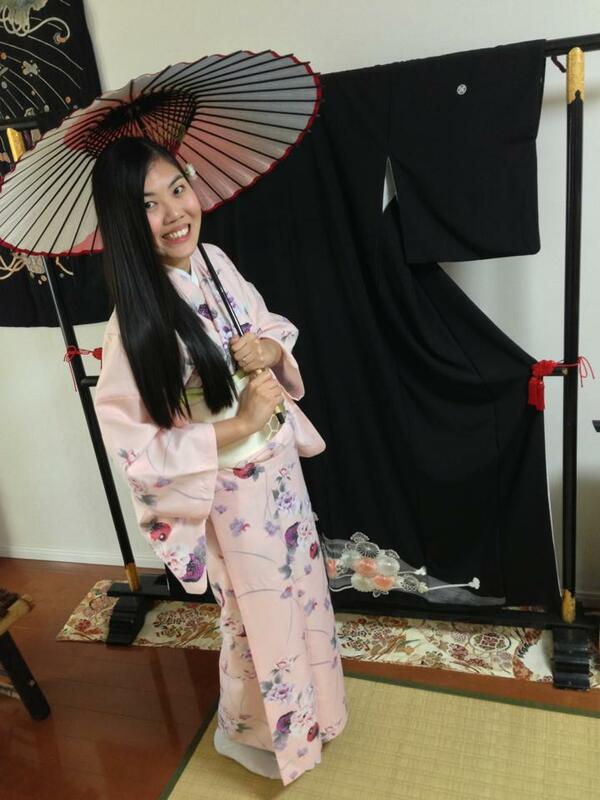 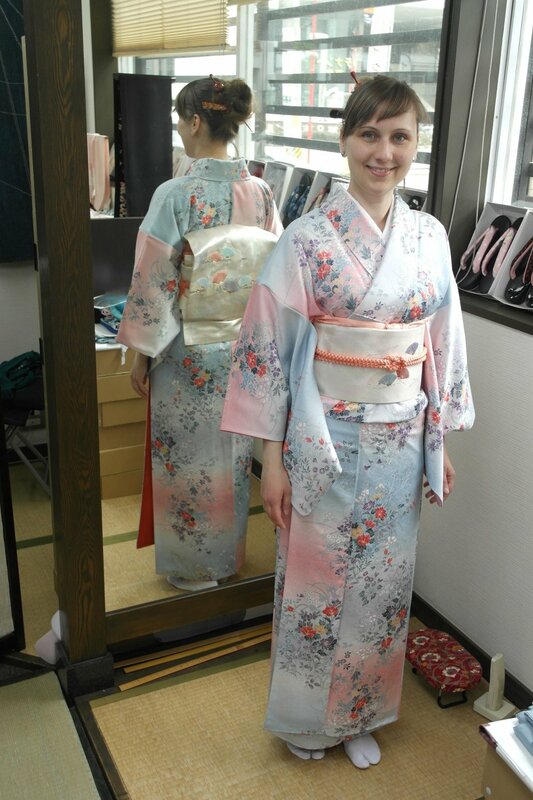 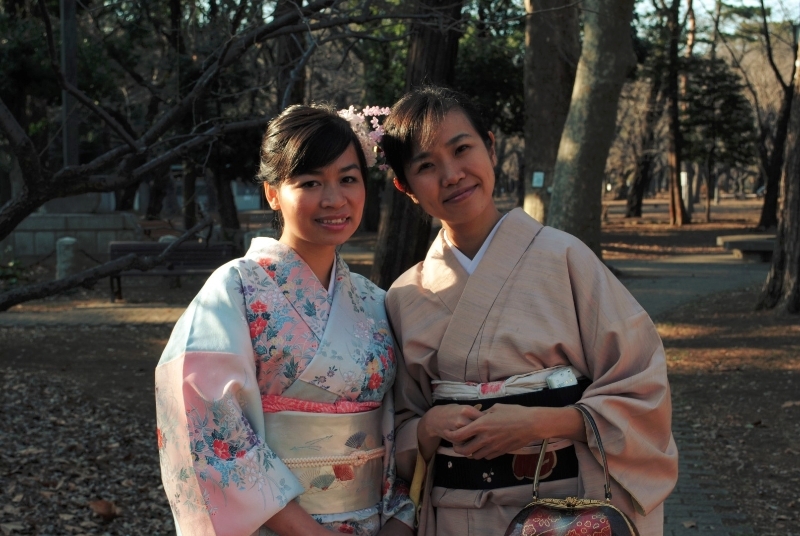 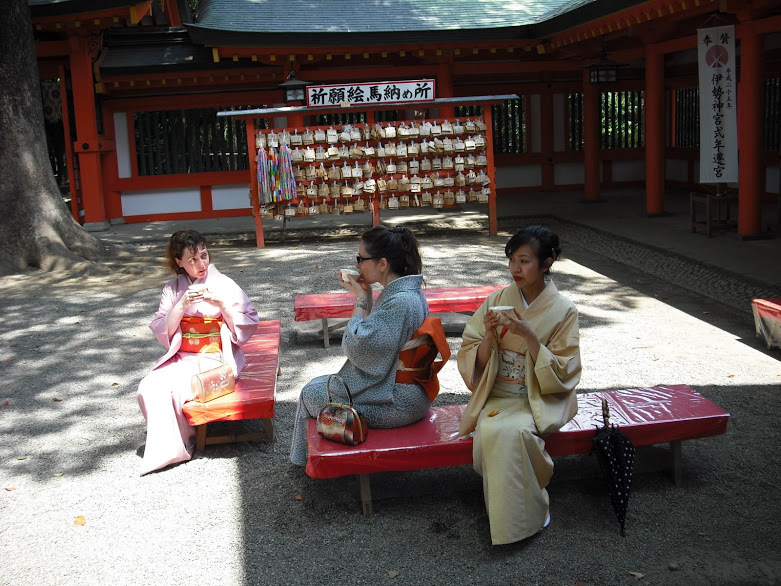 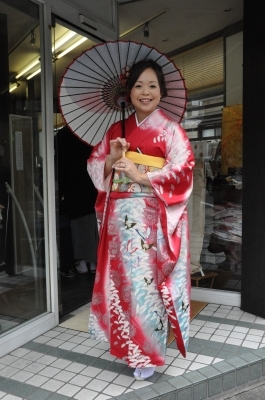 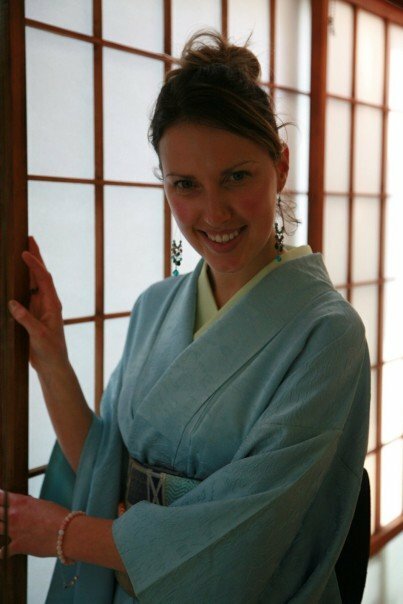 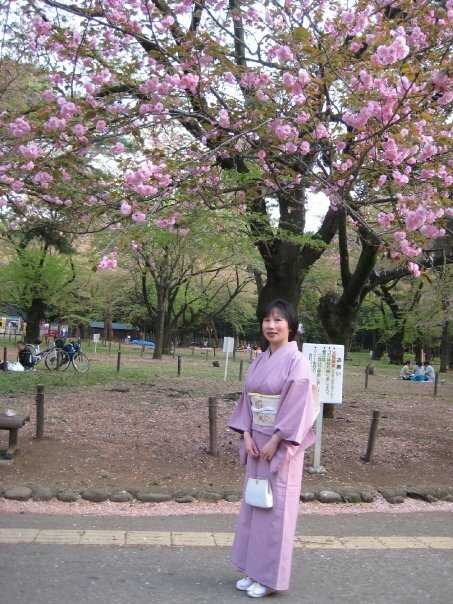 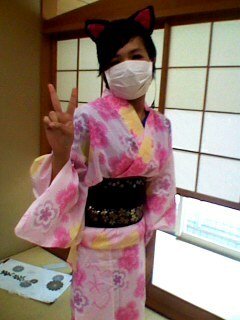 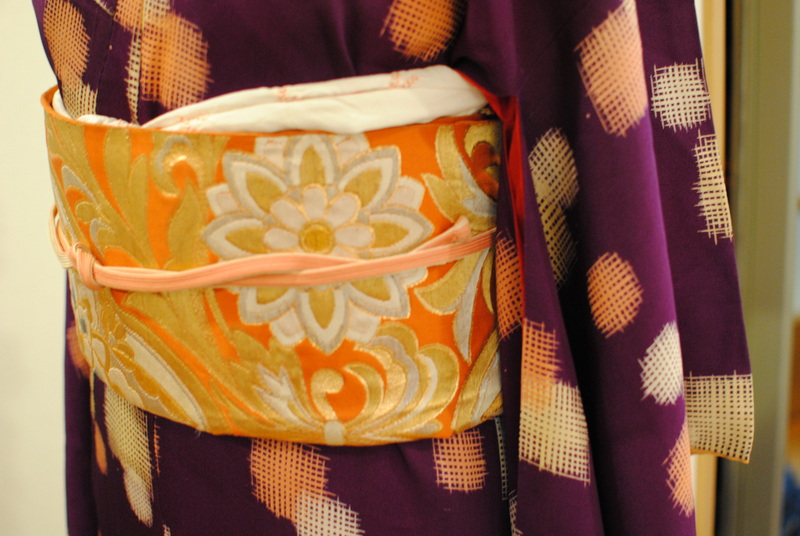 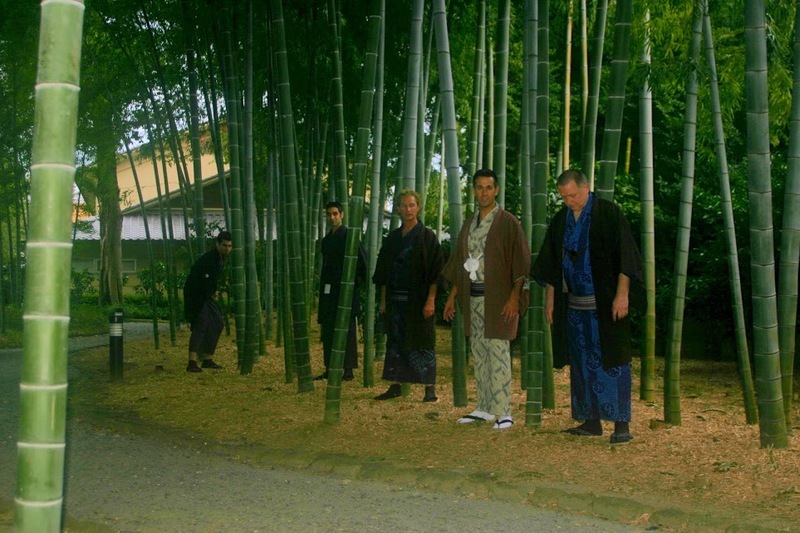 The obi is a lovely, coral and gold fukuro obi that could also be worn with more formal kimono. 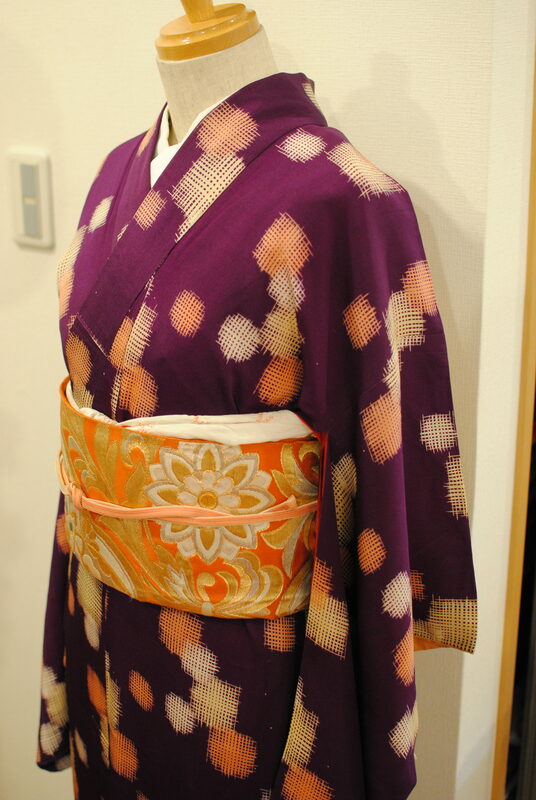 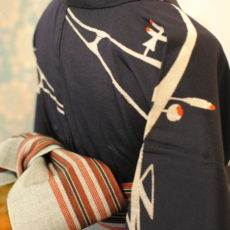 A woven silk kimono with a graphic pattern, paired here with a reversible hanhaba obi in a similar color scheme that still provides light-dark contrast. 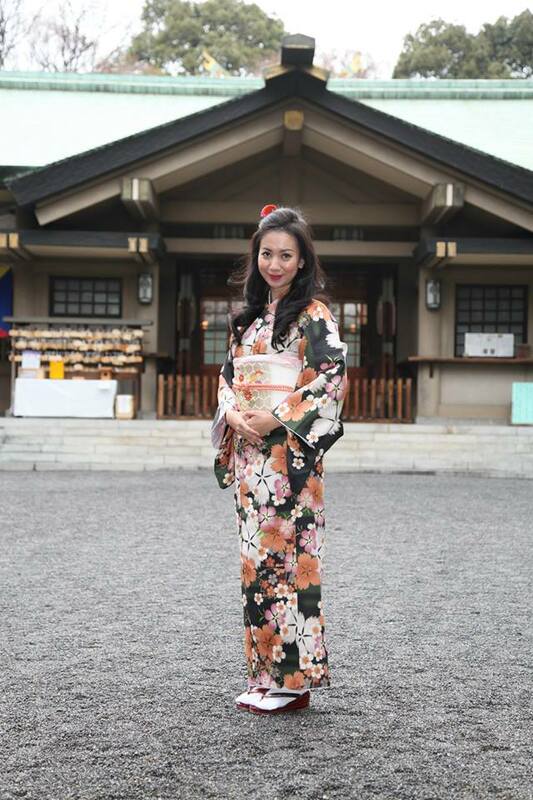 An understated, yet impactful, set.